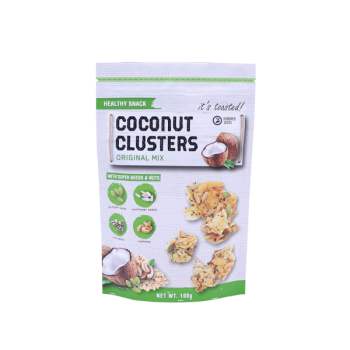 Our toasted coconut clusters are an amazingly delicious, healthy super snack. The combination of delightful coconut, our super seeds & nuts blend, and natural sweetners, are perfect for everyday snacking. 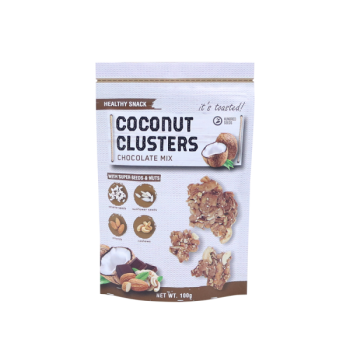 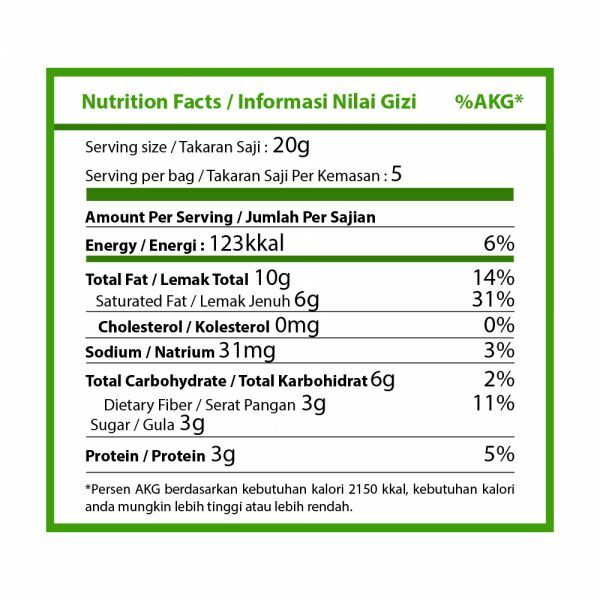 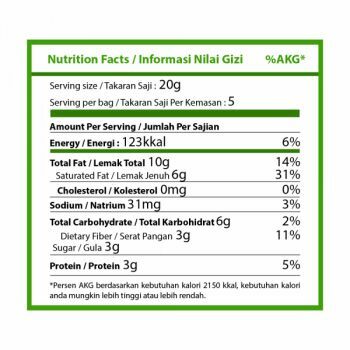 Dried coconut, sunflower seeds, pumpkin seeds, cashews, sugar cane, coconut sugar, chia seeds, rice flour, coconut oil, sea salt.